From rental cars and trolleys to limos and water taxis, we have your ground and water transportation covered. 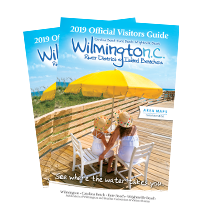 Amtrak&apos;s Thruway Service takes you from Wilson, NC to Wilmington with dedicated bus routes that extend the reach of the Carolinian and Palmetto trains. For more information, call 1-800- USA-RAIL or visit the Thruway Connection at https://www.amtrak.com/home.